30 Interesting facts about Nepal that will make you want to visit! Nepal is a landlocked country surrounded by China in the North and India in the South, East, and West. 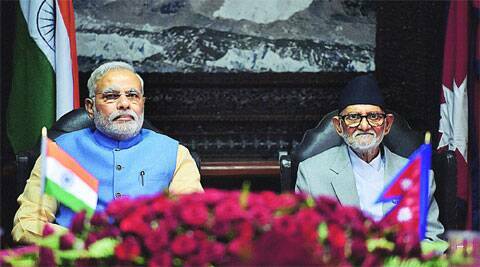 Though it is a different country, a lot is similar among the people of India and Nepal. 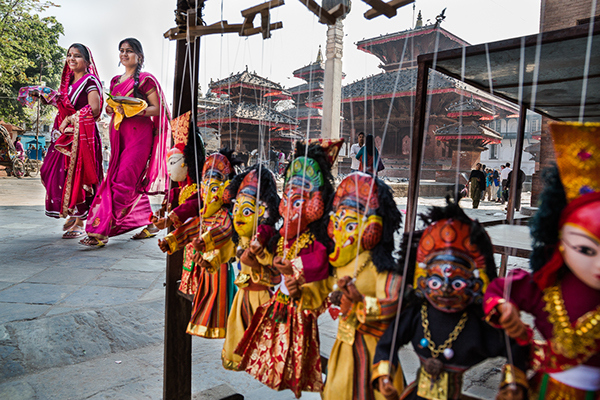 Did you know, like India, the major religion in Nepal is Hinduism? With 81% of the population belonging to Hinduism, it has the largest percentage of Hindus in the world. Hinduism and Buddhism exist side by side in Nepal and to some extent are intermingled. The importance of both in the national life is manifested everywhere; more than 2,700 temples and shrines have been counted in the Kāthmāndu Valley alone. The constitution does not establish a state religion but does describe the nation as a “Hindu Kingdom.” The constitution also forbids proselytizing. Certain Hindu holidays are recognized as national holidays, as is the birthday of the Buddha. Some local authorities have restricted public celebrations of Tibetan Buddhist festivals. The Pashupatinath Temple is the only Jyotirlinga Temple outside of India and is said to represent Lord Shiva’s head. It is visited by over 7,00,000 devotees on Mahashivaratri. In the country’s ‘Kumari’ belief the Kumaris, or ‘living goddesses’, are pre-pubescent girls considered to be the earthly manifestations of divine female energy, incarnations of the goddess known as Taleju, the Nepalese name for Durga. Selected as children, they live in temples, are carried in chariots during festivals and are worshiped by thousands of Hindus and Buddhists. They retire upon puberty. Siddhartha Gautam (Buddha) was born in Kapilvastu, Lumbini which lies in Nepal. Lumbini is a sacred place for Buddhists. Nepal has never seen any ethnic or religious riot; despite having a great diversity in both. Many people in both Nepal and India consider it as the 30th state of India. That’s right! As an Indian citizen, one can travel to Nepal without a Passport, as long as some other form of ID is shown, as a proof of Indian Citizenship. One Nepalese Rupee is worth 60 paise (INR). So you get more for your money! Nepali is the official language of Nepal; it is derived from Sanskrit and was formerly known as Khaskura. Other languages spoken in the country are Tharu, Gurung, Awadhi, Bhojpuri, Maithili, Kiranti, Tamang, Sherpa, Magar, Limbu, etc. Nepal has the densest concentration of World Heritage Sites. Kathmandu valley alone has 7 World Heritage Cultural sites within a radius of 15 kilometers. Nepal is one of the finest countries with the wide prospect of development in technology and tourism sectors. With a wide variety of flora and fauna in the country, Nepal beholds some of the rarest species of the one-horned Rhino, the Bengal tiger, and their national flower Rhododendron. Nepal is the only country with an altitudinal variation that ranges from 70 meters to 8848 meters. Nepal boasts the most extreme places on the earth such as the highest lake on the earth (Tilicho 4800 meters), the deepest gorges (1200 meter) in Kaligandaki, the highest valley on earth (Arun valley) and the tallest grassland in the world in Chitwan. Nepal has more than 360 species of Orchid which constitutes over 2% of the world’s orchids. With a 160 meter jump, the plunge gives a breathtaking view of the Bhote Kosi River and is one of the highest jumps in the world. The Himalayas mountains are shared among five countries in descending order: Nepal, Bhutan, India, China, and Pakistan. The mountainous north of Nepal has eight of the world’s ten tallest mountains, including the highest point on Earth, Mount Everest. The Yeti or Abominable Snowman is an ape-like cryptid taller than an average human that is said to inhabit the Himalayan region of Nepal, Bhutan, and Tibet. It’s existence never been scientifically proven. 21. Nepal has the world’s only non-quadrilateral flag. The national flag consists of two red adjoining triangles, outlined in blue and merging at the center; the points are on the fly. On the upper triangle, in white, is a symbolic representation of the moon; in the lower triangle, that of the sun. But sometimes people are off for a half day on Fridays. Sunday is a normal workday. There are no waterways in Nepal. The only practical seaport for goods bound for Kāthmāndu is Calcutta in India. Nepal does not have an independence day because Nepal was never colonized. Nepal is also the oldest country in South Asia. Weed is said to be illegal and is not available for buy and sale, we can find the growth of Cannabis everywhere mostly in the rural area, around the roads, ditches, farm lands, mountainside and everywhere. Internet was introduced in Nepal back in 1994. But surprisingly Nepal stands second after Libya for low internet connection as a country. “Better to die than be a coward” is the motto of the world-famous Nepalese Gurkha soldiers who are an integral part of the British Army since 1815 when a peace agreement was clinched by the British East India Company after it suffered heavy casualties during an invasion of Nepal. The Gurkhas form an integral part of the British and Indian armies. In April of 2015, the small country was rocked by a 7.8-magnitude quake. More than 6,000 people died as a result and over 13,000 injured. Monarchy was abolished and Nepal was declared a republic in 2008. 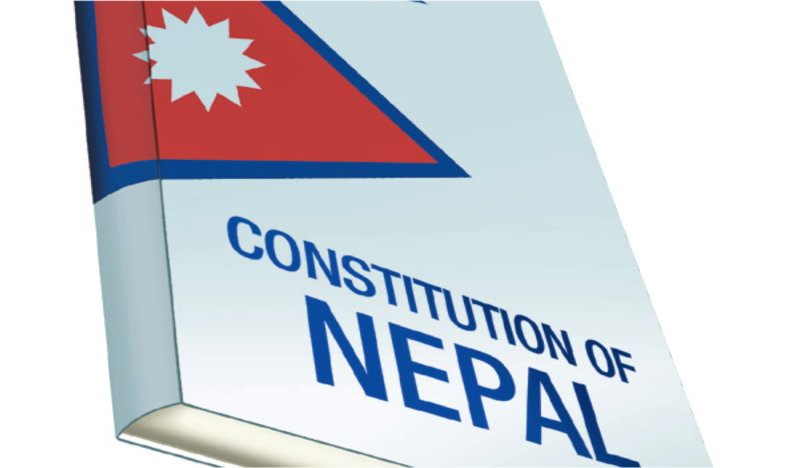 The constitution of Nepal came into effect in September 2015.